Roberto Cavalli sunglasses are unlike anything you have ever owned. They can be truly called eyewear for the unconventional, stunning styles made in rich design and color. Roberto Cavalli style is known for its flamboyant shapes, very detailed decorations and embroidery. The famous Italian designer made his name by creating custom dresses for Rome elite and decorating them with animal prints, elaborate metal inserts and wild colors. Roberto Cavalli sunglasses today are made in a very small collection. It is quality, not quantity what counts for Roberto Cavalli. Each pair of his sunglasses are a piece of art on its own. Finely detailed temples with twisted snakes and laminated acetate look elegant and rich at the same time. 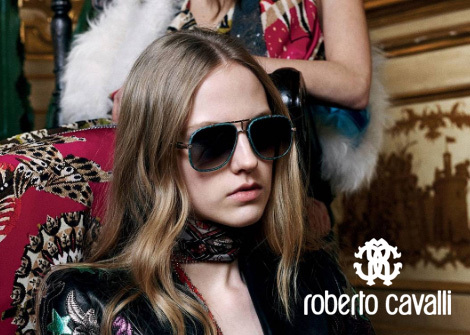 You may have many sunglasses, but Roberto Cavalli will unquestionably become your favourite for years. Buy authentic Roberto Cavalli sunglasses at Eyeinform website with complete manufacturer packaging. Shop for complete collections of Roberto Cavalli sunglasses online for fast shipping and easy returns.